Volume 22 of the Gabriel Wells Definitive Edition of Mark Twain's works is Literary Essays. The contents of this volume are identical to the contents of the same book issued by Harper and Brothers under the same title in previous uniform editions after mid-1917. (For the history of the shifting contents of this volume, see Chapter 24.) 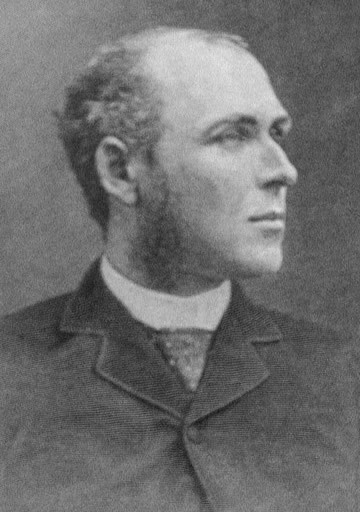 The Introduction for Literary Essays was written by Albert Bigelow Paine. MARK TWAIN had the gift, sometimes an attribute of genius, of being able to exclude temporarily from his conscious thought all extraneous matters of whatever nature. Time and again he was able to dismiss even the most harassing and disturbing circumstances, and in that inner life of his, which was so shut away from the daily round, to accomplish work which we naturally associate with leisure and quietude. He was alternately in Europe and America during the summer of 1893, traveling back and forth almost constantly, and apparently never at rest in his mind, beset by all kinds of business worries; yet in the midst of all this he somehow was able to forget his own troubles in order to go to the defense of Harriet Shelley, a woman long dead and maligned, and always misunderstood. He prepared a paper in defense of Shelley's wife which is no less than a brief -- as direct, compact, and cumulative as could have been formulated by a trained legal mind, with the added advantage of having been inspired by indignation and righteous resentment. An admirer of Shelley's work, he could not resist taking up the defense of Shelley's abandoned wife. It had been the fashion to refer to her slightingly, and to suggest that she was not without blame for Shelley's behavior. A biography by Professor Dowden Clemens had found particularly irritating. He proceeded to employ all the skill and gifts he could command -- logic, humor, satire -- to confute those chapters which had been intended to lay a blight on Harriet Shelley's memory. It was characteristic of Mark Twain to do just that thing. He was never too much occupied, never too overwhelmed with his own affairs, to go to the rescue of the oppressed and defenseless -- the injured human soul; and in all his work there is hardly a finer example of the various literary gifts which made him, perhaps more than any other writer of his time, the advocate and defender of the weak. It is Mark Twain at his best and noblest, Mark Twain full of righteous wrath. No biography of the man can reveal him so adequately as he has revealed himself in this paper. It is a mirror of his soul. "I think that in my lifetime I have not twice seen history made before my eyes, but I know that I have seen it once." It was indeed a time of excitement, not only on the floor, but in the galleries. Once when the latter were cleared, a report went out that Mark Twain had waved his handkerchief, shouted, "Hoch der Deutschen," and had been struck by an officer of the law. Nothing of this happened. He was everywhere recognized in Vienna and courteously, even reverently treated. When one of the galleries was cleared he was directed to a place in another, where he could see and hear. "Stirring Times in Austria" is Mark Twain's report of what he saw, and it will keep the record of those exciting days alive and important as literature when otherwise it would have become merely a passage of dimly remembered history. The difference between the brain of the average Christian and that of the average Jew -- certainly in Europe -- is about the difference between a tadpole's brain and an archbishop's. It is a marvelous race; about the most marvelous race the world has produced, I suppose. The Jew article is my "gem of the ocean." I have taken a world of pleasure in writing it, and doctoring it, and fussing at it. Neither Jew nor Christian will approve of it, but people who are neither Jews nor Christians will, for they are in a condition to know the truth when they see it. He was mistaken, however. The article -- good reading from beginning to end -- would seem to have given satisfaction to thoughtful readers of whatever race. 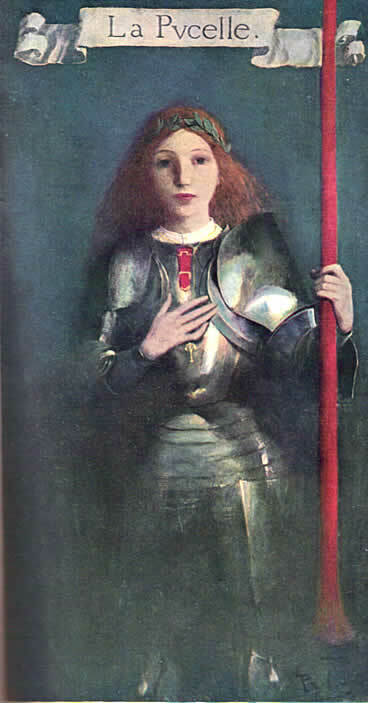 "Saint Joan of Arc," perhaps the finest example of Mark Twain's purely literary essays, was written in London in 1899, and has a little history of its own. The official records of the trial and rehabilitation of Joan were to be elaborately issued by an English firm, and Mark Twain had been invited to write an introduction to the volume. He was naturally pleased by the compliment -- inspired by it, if we may judge from the result -- but it happened, sadly enough, that a smug functionary of pedagogic gifts was in charge of the copy, and when Mark Twain's introduction came in, this person proceeded to edit it -- to alter words and phrases so that they might conform to his own notion of the Queen's English. He meant well, like enough, and thought Mark Twain would be grateful for his efforts. He sent back the article, showing his corrections, and expected thanks and compliments. Mark Twain recorded a few of the remarks he made when he saw his edited manuscript. He said: "I will not deny that my feelings rose to one hundred and four in the shade. The idea! That this long-eared animal -- this literary kangaroo -- this illiterate hostler with his head full of axle-grease, this -- but I stopped here, for this was not the Christian spirit." He was prompted to write a long letter -- such a letter as only he could write under the circumstances; but by the time it was finished he had found sufficient relief without the necessity of sending it; so he merely recalled his Joan manuscript and laid it away. It eventually appeared in Harper's Magazine. If the other features of this volume are of less importance than the ones mentioned, they are at least sufficiently entertaining. "The Appetite Cure" is a sermon on dietetics as wise as it is amusing. "Fenimore Cooper's Literary Offenses" is a diverting exposition of the old story-teller's stilted manner and loose English, with which Clemens had little patience. "Traveling with a Reformer," with its shrewd hints to the American public, has no doubt been beneficial to more than one suffering wayfarer. The lines "In Memoriam," written at Weggis, Switzerland, on the first anniversary of the death of Mark Twain's beloved daughter, Susy, reveal in poetic form a side of the man which only those who knew him best fully realized. It was the side they saw oftenest, and for which they loved him most. Among the essays in Volume 22 is "Saint Joan of Arc." It was first published in December 1904 in Harper's Magazine with four full-page color illustrations by Howard Pyle. Volumes 17 and 18 of the Gabriel Wells Definitive Edition of Personal Recollections of Joan of Arc feature two of Pyle's illustrations rendered in black and white. Howard Pyle (b. 1853 - d. 1911) Howard Pyle was a native of Wilmington, Delaware. After studying art briefly in Philadelphia, Pyle relocated to New York By the late 1870s his work was being featured in leading New York periodicals including Harper's publications. In the 1880s Pyle moved back to Philadelphia where he published and illustrated his own The Merry Adventures of Robin Hood. It was one of a number of books Pyle would write and illustrate and was a favorite of Clemens who owned or gave away at least three copies. Clemens's friend George Washington Cable wrote of seeing the family read aloud from "Howard Pyle's beautiful new version of Robin Hood. Mark enjoys it hugely" (Gribben, p. 563). A black and white version of Howard Pyle's drawing of Joan of Arc is featured as the frontispiece of Volume 22, Literary Essays of the Gabriel Wells Definitive Edition. It was the first time the illustration was used in a uniform edition. The words "La Pucelle" translate to "The Maiden." In addition to Pyle's illustrations, Volume 22 features illustrations by Charles Dater Weldon and Peter Newell that had appeared in Volume 22 of the American Publishing Company's 1899 uniform editions.